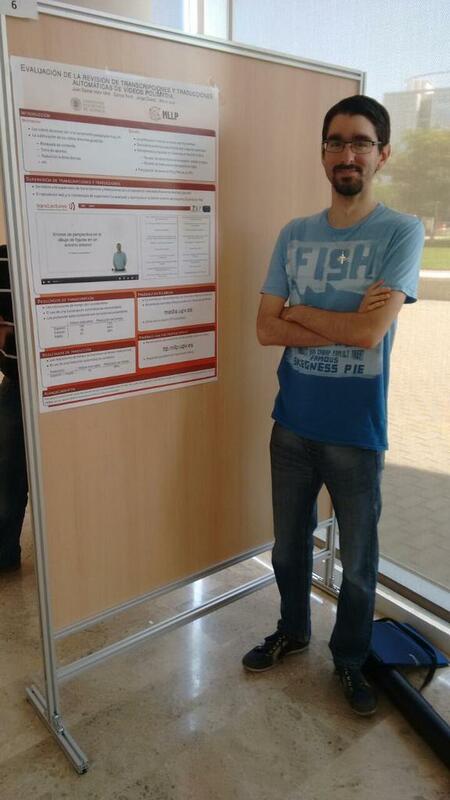 The MLLP was represented at IN-RED 2015, the 1st Spanish National Conference on Educational Innovation and Online Teaching, by Juan Daniel Valor Miró, who presented his work on user revisions of automatic video transcriptions and translations. IN-RED 2015, the 1st Spanish National Conference on Educational Innovation and Online Teaching, took place on 30 June and 1 July 2015 at the Universitat Politècnica de València. IN-RED aims to be a forum for the exchange of teaching and learning experiences in the areas of educational innovation and online teaching within the framework of higher education. MLLP researcher Juan Daniel Valor Miró was there to present his work “Evaluación de la revisión de transcripciones y traducciones automáticas de vídeos Polimedia” (Evaluation of the revision of automatic transcription and translations of Polimedia videos), based on the analysis of how users (in this case, university lecturers) use the automatic video subtitling technology and tools developed by the MLLP to obtain high-quality subtitles for their video lectures (our tools are open for anyone to try in our platform http://ttp.mllp.upv.es). Juan Daniel’s work sparked considerable interest among the attendants, including teachers and media services staff from universities all around Spain. You can read Juan Daniel’s work for IN-RED 2015 here. 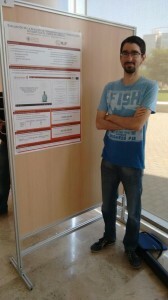 For a more complete perspective of Juan Daniel’s work in this area, please refer to his 2014 publication “Evaluating intelligent interfaces for post-editing automatic transcriptions of online video lectures” in the journal Open Learning. Posted in All, Events and tagged #Polimèdia, Conferences, Educational Technologies, IN-RED, Intelligent Interaction, MLLP publication, Video lectures.